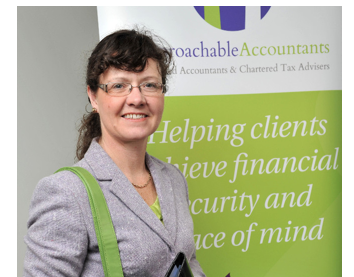 We had a busy winter here at Approachable helping clients through the tax return season as we continue to invest in staff and making better use of new technology. Julie passed her tax exam with flying colours and Sajid has enrolled to start his ICAEW training. HMRC’s focus is on making tax digital and clamping down on aggressive tax avoidance, as we all struggle to cope with ever-increasing complexity that adds to costs, often for very little benefit. We are helping clients get in good shape for digital tax accounts and keeping up to date to help clients keep compliant and take advantage of tax reliefs where appropriate. We received excellent feedback on work experience we have started to offer to less advantaged students through the Access Accountancy scheme. We hope to run an academy style week during July to try and reach more students. The budget had no major surprises. We have new reliefs to take small amounts of income out of tax and a sting for landlords will have to pay CGT within 30 days of a sale, will will miss out on the lowering of capital gains tax rates (and have mortgage interest relief restricted). We summarise the key points for you below, including some previous announcements on tax and other news. Thank you for taking the time to read this newsletter. Please do get in touch should you have any queries, and enjoy the spring and summer!